The 10-mile Capitol/I-10 West light rail extension will connect with the existing Valley Metro Rail system in downtown Phoenix, to the 79th Avenue park-and-ride. The Environmental Assessment (EA) for the project is being drafted, which includes a detailed analysis of how light rail would operate along the route. Early design work, including identifying station locations is also expected to begin during this phase. Valley Metro and the city of Phoenix will continue to reach out to the community for public input throughout the project. Following approval of the Environmental Assessment, Valley Metro and the city of Phoenix will be eligible to compete for additional federal funding. Those funds could be used for the design, construction and operation of Phase I of the project and provide opportunities to accelerate the Phase II schedule. 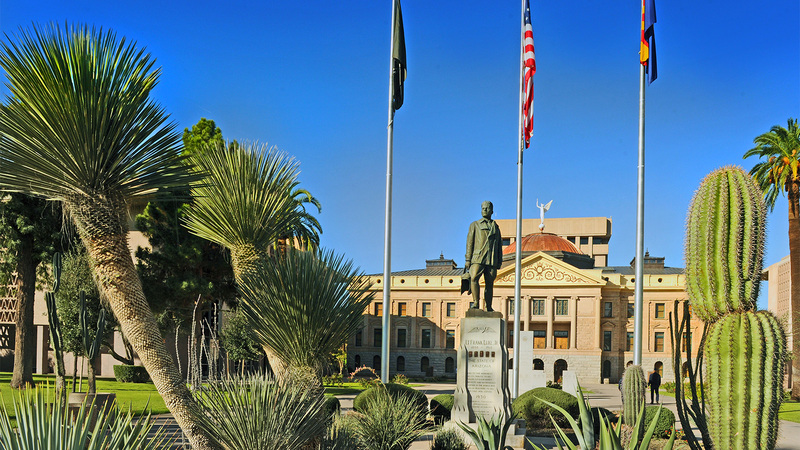 Phase I (from downtown Phoenix to the Capitol area) is anticipated to be complete in 2023 as part of the first wave of extensions in the Transportation 2050 (T2050) program, setting the stage and momentum to complete Phase II by 2030. Learn more about T2050 here. In January 2016, the Phoenix City Council approved taking a phased approach to the Capitol/I-10 West extension, designating the portion of the project from downtown Phoenix to the Capitol area as Phase I and the remaining segment along I-10 to 79th Avenue as Phase II. Learn more about T2050 here.